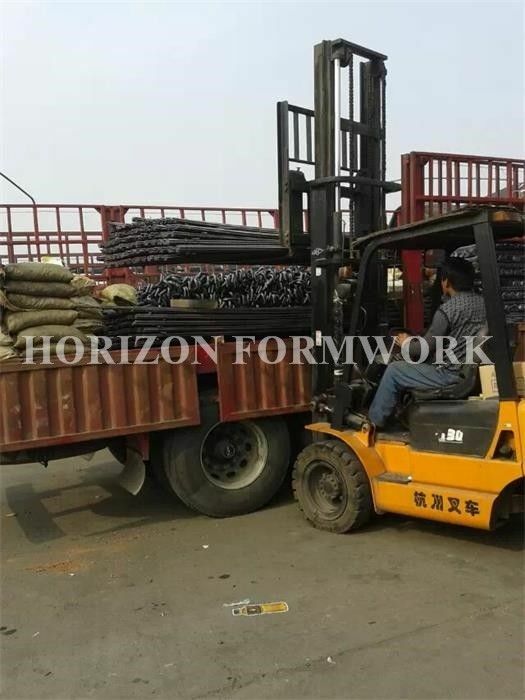 Tie rod is typically used in construction formwork and can fit well with many European formwork systems, such as doka and peri. The Tie-rod‘s continuous thread is cold-rolled onto the steel. The dimension can match with all other accessories. Tie rod can be welded in common conditions. For tie rod Ø15/17, working load is 90KN and breaking load 190KN. Self color finish, unless special request. Customized length available.